i can tell, i know her acting was great (though i just see her in Haken no Hinkaku right now), she can playing an innocent role and with her face that is so cute, so adorable. She was very cute as the klutzy kohai in Haken no Hinkaku. Really liked her role in this one. I like this artist. She is a girlfriend material type for me.. 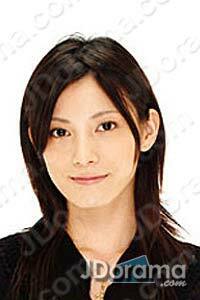 Pretty and popular actress as she is typical Japanese beauty. For her brilliant performance in the UMIZARU sequels..
She is very beautiful and a very talented actress. Love her acting... Also pretty too.